Sapa Hotel & Travel is a leading tour operator (established 2005) who enables you to enjoy the customized private tours in Sapa, Lao Cai, surrounding areas and throughout Vietnam. Our friendly staff are eager to meet your requirements and are able to offer a variety of experiences according to your requirements. We have first hand knowledge of the places you may wish to visit and can advise you accordingly. We are committed to offering you the best value. We have considerable backing and buying power behind us as well as a team of experienced, knowledgeable and friendly staff. We have earned a reputation for offering unbeatable value, for our dedication to excellent customer service and for our commitment to responsible travel practices. When you book your trip with us, peace of mind is guaranteed. Please contact us with your requirements. Sapa Hotel & Travel provides you with services directly – without middlemen – so the price is free of commissions. That keeps our tour prices significantly low compared to other travel companies in Vietnam. Moreover, we have been operating in tourism for over 10 years. Being long-term a loyal partner gaining great credit from hotels, carriers, other tour operators in the North and throughout Vietnam. Therefore, we always get partners’ top priority in terms of prices and service quality. Our trips offer incredibly good value for money. Since its foundation, the company has established good working relationships with local suppliers, transportation agents and hotels across the region, so we are in a good position to get the best offers from them. This enables us to meet the increasing demands of travelers for the most competitive rates and the highest ethical standards. 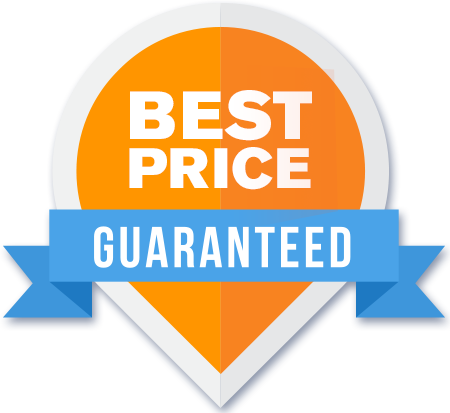 For your convenience and peace of mind, our prices already include all professional tour guide fees, fares (many and varied sorts depending on each trip) and all entrance fees for the many famous sights and places of interest on our itinerary. It’s all a part of providing you with excellent service before, during and after you travel. Every trip is planned down to the very last detail. Our trip advisors team has a lot of experience in organizing and leading holidays. We know about the quirks and vagaries of the local transport schedules so we can plan your trip to avoid hassles and delays. We also choose the best suppliers so that we have good, reliable back up. Sapa Hotel & Travel has established a comprehensive service system to ensure the best possible service to our customers. We rely on our former customers’ ideas and feedbacks on selecting guides and attractions, choice of hotels, restaurants, and all others related services etc. We are a tourism company that has high responsibilities for the environment of places visited by our travelers. As mentioned above, we employ a well-trained fleet of local tour guides. They will always be experts in culture, traditions, customs, etc of the places you visit, and good friends of local people. With their hard-to-earn knowledge and experience, these guides will provide you deep understanding about traditions, history, culture, geography of the places you are visiting together with a close contact with local people who are very friendly, and hospitable. Our guides’ deep knowing will be the key factor that helps your trip be a perfect one. It is admitted that all great satisfactions that customers benefit from our services are thanks to our continuous service quality improvement during the period of nearly twenty years. The message which we would like to send to customers is that “we’re your passport to travel”, and once you are our customers, you will recognize your values and our business attitudes and ethics. Sapa Hotel & Travel offers the largest and most comprehensive network of long distance and tourist trains in Vietnam. Our services extend along the. Vietnam from Hanoi to Ho Chi Minh city. Besides , Train to Sapa we also provide some other services including: Vietnam Tours, Hanoi Tours, Halong Bay Tours, Visa on Arrival, Hotel booking, Flight bookings, trips in other parts of Vietnam to complement your journey. Thus, if we can be at further assistance to you on those things, please do not hesitate to contact us at any time. Sapa Hotel & Travel is one of the leading local tour operator in Sapa with offices in Hanoi and Sapa. We specialize in offering customize tour to Sapa and northern Vietnam. Our highest committment is to bring you the most authentic and unique experience with maximum of satisfaction.